Looks like Kriti Sanon loves her stripes, just like Shilpa Shetty. We don’t blame them, do we? After all, wearing striped clothes is an easy to make a fashion statement. 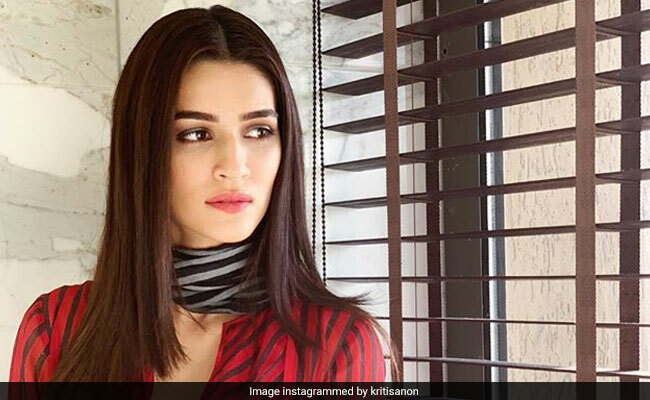 Not only are stripes easy to carry but there are so many ways you can go about wearing them For now, check out Kriti Sanon’s red and pink striped dress. The comfortable looking dress by Rasa Jaipur goes to show that you don’t have to go over the top to look stylish. Check her look out. If you want to wear stripes like a boss, here are a few options for you to try. Go for this AND A-line striped maxi dress if you want to wear something earthy and simple. The berry coloured stripes make for a striking look. Priced at Rs 1,249, you can get this here. 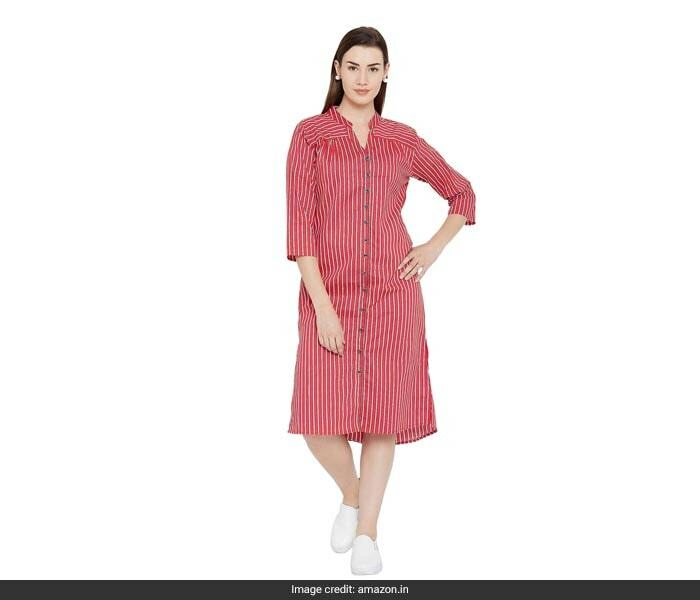 Another very simple dress to go for is this Ruhaan’s striped cotton red dress. 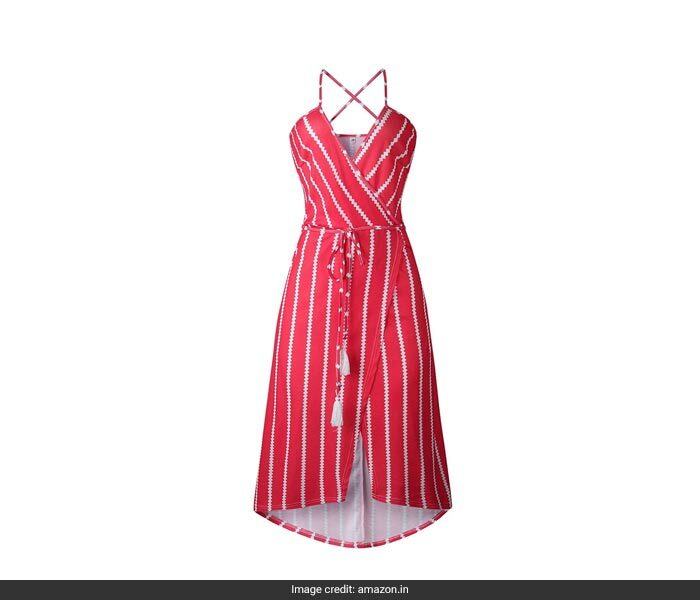 This dress is a great way to wear some red stripes without going overboard. Pair this with a white blazer for the complete look. Priced at Rs 749, you can get this here. 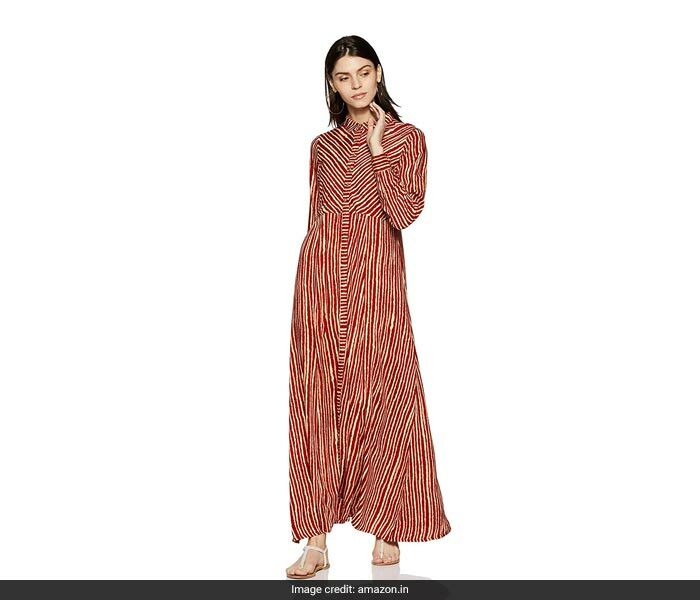 For those who like a side of some quirk with their sartorial choices, this MOMZJOY maroon striped dress is the perfect piece to get. The chevron meets stripes print is totally going to stand out. Priced at Rs 2,699, you can get this here. 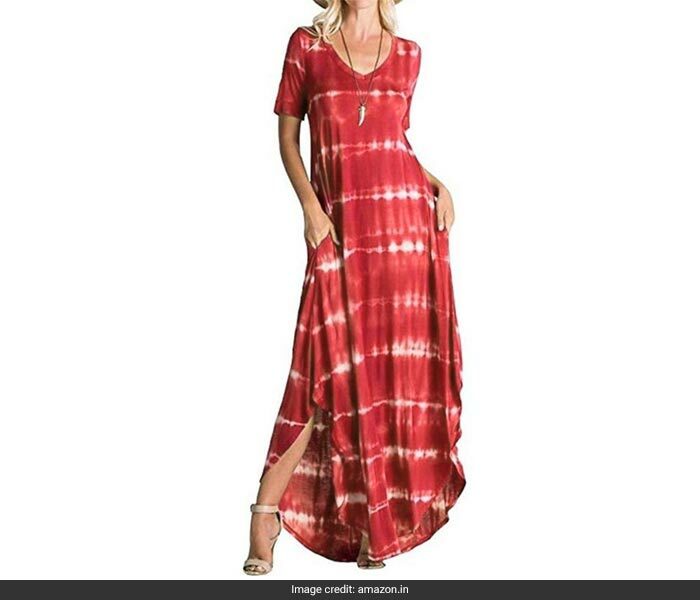 Another striking piece to get is this tie-and-dye Herdross long dress which comes with an irregular hem. This will make for a great casual outfit this summer. Wear with this statement earrings for the complete look. Priced at Rs 1,190, you can get this here. And for those who want to go a tad bit bold, this Gogolan striped V-neck sleeveless dress is the piece to get. This dress will be a great addition to your travel wardrobe. Priced at Rs 727, you can get this here.